Hilarious. My son and I were just having this argument this morning when I was taking him to school. Predictably: he is Team Evo. I'm Team Stumpy (or Team Boring as he'd likely call it). 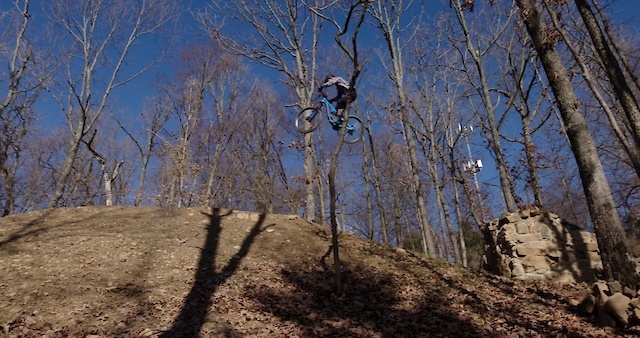 Andrew rolled through Arkansas back in February.... ready to see the vid. In the meantime, these will tide me over. Fitz is the best! As Zu said, the rockwork and natural beauty are worth the trip alone, then there's so many opportunities for progression and discovery as well. While I seem to discover a new favorite trail or area every couple of months here due to all the trail building, I keep coming back to Fitz as my favorite. Plus, you have the amazing Runway Bike Park and Pump Track nearby for post ride sessions and socializing. It’s a challenge to communicate the feel of this ride. Great job on this write up, but folks really gotta experience it to get it. Look forward to it every year. That was exactly what I thought when he was teasing clearing it on his instagram.